Tuesday Bluesday... Another day with no racing on the Choptank River for the 2018 Star World Championship hosted by Tred Avon Yacht Club in Oxford. The morning presented with a little more breeze than Monday, so the committee boat eagerly docked out and called the fleet for a noon start. Once on the racecourse, though, the wind never properly settled, and after a two hours’ waiting under the unusually warm sun for the season, the PRO Bill Stump, sent everyone back ashore postponing the first race of the 2018 Star World Championship to (Wednesday). In addition to John, eight other Star World Champions are competing this week for the 2018 title. For over a century now, the depth of talent in the fleet is internationally recognized. MacCausland’s 2013 Star World Championship crew Phil Trinter is also racing this week in Oxford. 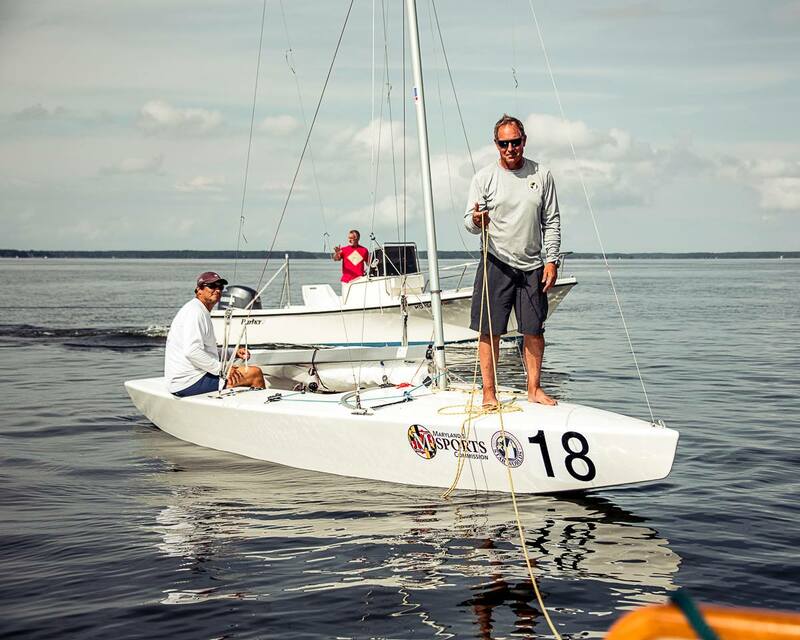 Phil has been a member of the International Star Class for over 30 years, and with his two Star World Championships, and several Silver Star titles, he is one of the most successful crews on the water. “More than anything the key to success in the Star is time in the boat and learning what it takes to make it go fast. With the controls on the mast and the backstays you learn how to shape sails. With it also a very physical boat being big and athletic is the next step,” said Trinter. Wednesday, on Race Day 3 of the 2018 Star World Championship, the RC and competitors will make another attempt at racing. First warning for Race 1 will be at noon. Race 2 is scheduled to follow.